Hotel Theodul is located on the high street, right in the centre of the resort, only a few minutes' walk from the ski lifts and pistes, and within strolling distance of the bars and shops. The Hotel Theodul is the perfect place to enjoy one of the finest ski areas in Europe, particularly with the new lift connections that will make it possible to travel between the Lech and St Anton sides of the Arlberg ski region. The new connections will make the Arlberg region by far Austria's largest interconnected ski area with 305km of ski slopes served by 97 ski lifts. The Hotel Theodul boasts a fabulous location on the main high street, just a short stroll to the main ski lifts and resort centre. This peaceful location allows you easy access to the piste whilst providing complete tranquillity for your stay in Lech. Martina & Dietmar Walch and their parents before them have owned and run the hotel for the last 30 years and we are proud to be taking over this wonderful property in the beautiful resort of Lech. The hotel itself offers style and comfort, with excellent facilities including a comfortable lounge and bar, a spacious restaurant and an enormous sauna, steam & relaxation area with massage suites - the perfect to way to unwind after a day in the mountains. Our new Lech hotel, the Hotel Theodul has 29 spacious and luxurious bedrooms over three floors. All bedrooms have en suite bathrooms with flat screen TV, Wi-Fi and hairdryer. Most have a balcony with spectacular views. Choose from twin or Austrian twin rooms, plus family rooms with double sofa bed or interconnecting room options. In most of our family suites there is a curtain to divide the room giving you and your kids a little ‘me' space, so important after a hard day on the slopes. Hotel Theodul is one of our dedicated family chalets. Families with infants and children are welcome in the hotel on all dates. Our private childcare will be available to pre-book. 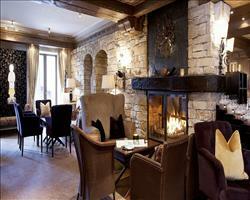 The Hotel Theodul has 29 spacious and cosy bedrooms over three floors. All rooms are en suite, and equipped with Flat screen TV, WiFi, hair-dryer, telephone and safe. Most have a balcony with spectacular views of the surrounding alpine scenery. Choose from twin or Austrian twin rooms, plus family rooms with double sofa bed or interconnecting room options. Rooms are categorised as Silver, Gold (£100 supplement) & Diamond (£200 supplement). Please see the gallery above for more room images. We update Hotel Theodul's details often, but facilities do change. e.g. some extras listed by the supplier as "free" or included might only be for the first time you use them, or for one time per party, then charged for further use. If any specific feature is essential to your holiday, make sure you ask us to confirm the details of it before you book your holiday. This package holiday to Hotel Theodul in Lech, Austria departs Sunday 8th December 2019, for a 7 night stay on a "half board" board basis. A local tourist tax (Taxe de Sejour or Kurtaxe) is levied by many councils in European ski resorts. It varies by standard and type of accommodation and is age dependent, so not everyone is charged. It's not included in the basic price of your holiday and is usually paid locally. For reference, the average charged in winter 15/16 was between 50p and £2 per person, per night. Lech lift pass price last reported as €235,00. Ask for a quote when booking Hotel Theodul. 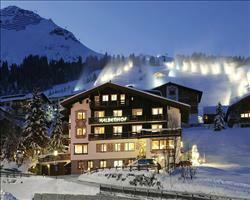 Chalet Hotel Mont... Lech Austria, Gatwick to Innsbruck 14th December. 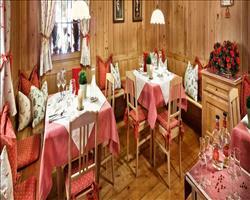 Hotel Haldenhof Lech Austria, Dover Ferry 14th December. Hotel Lech/Reside... Lech Austria, Dover Ferry 14th December. 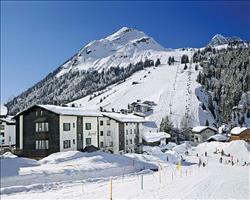 Hotel Berghof Lech Austria, Dover Ferry 14th December. 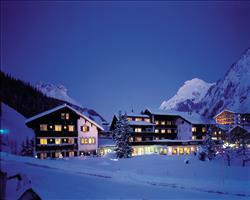 Hotel Arlberg Lech Austria, Dover Ferry 14th December.